Took this fat possum tonight. He's been the garbage bandit and I could never catch him doing it. Tonight I went to let my dog out and this nasty thing almost got into it with our mutt. Time to go!! It is always nice to take out the garbage bandit! 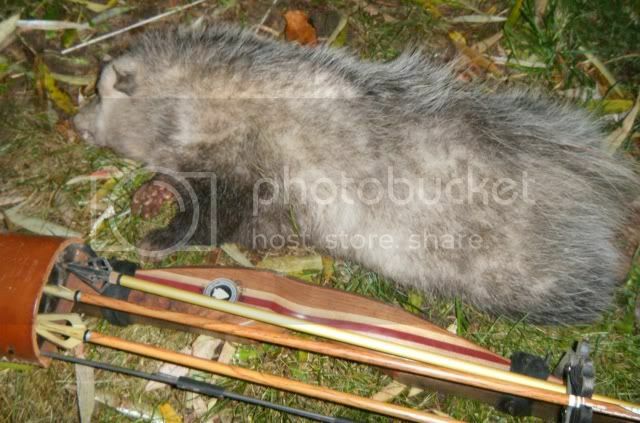 now that's a good possum!!! Hats off to you! There is nothing I hate worse than a possum. I once had an 89 nissan pickup truck that was a possum killing machine. I had it trained to swurve and kill on sight! !